Mortgage brokers play an important role in helping people achieve their homeownership goals. To that end, three top mortgage brokers revealed the most important things borrowers should consider in a mortgage. Ontario broker Angela Milosovic of Mortgage Alliance emphasized the importance of working with a broker with a wide network of lenders. "The network of a mortgage broker not only consists of major banks and financial institutions, but also 'Class B' and 'Class C' lenders," Milosevic told business listing site Three Best Rated. Saskatchewan broker Deb Murdoch of The Mortgage Group agreed and added that borrowers should also initiate their own research. "When looking at a lender, you should find out if they are recommended by a mortgage broker and why," said Murdoch. 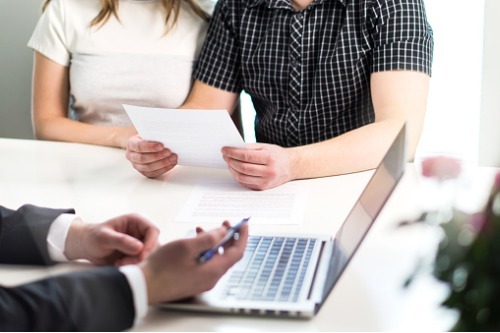 According to Alberta broker Eva Neufeld of Mortgage Tailors, borrowers should read up on the different products offered by lenders. "Interest rates don't vary much from lender to lender, but what does vary is the fine print," Neufeld told Thee Best Rated. "You should [should] evaluate for prepayment privileges, portability, and payout penalty calculations," added Murdoch. Murdoch also disagreed with the common perception that rates are important part of a mortgage. "Priority should be given to [the lender and the product] and then the rate," Murdoch told Three Best Rated. "Just because it may be the lowest interest rate for the term, doesn't mean it [has] the lowest overall cost," added Neufeld. However, Murdoch stressed that the rate still is important. "The rate does not have to be the best rate, but it should be in the top three," said Murdoch. "You're looking for a mortgage product to match your financial situation and requirements," concluded Milosevic.